I have been taught by the timid, the tremendous, the tired and the terrible – quite a few of the latter in truth. The best weren’t necessarily either good teachers or knew their subject but they had character – some indefinable something that set them apart from the heaving mass of the barely competent didacts that peopled my formative years. It is hardly surprising that even 50 plus years on I remember each and every primary school teacher, bar the very first – and while her name has slipped somewhere into the out tray marked ‘open when senile’, I can still see her now, all black frothy hair and pinched lips with the safety catch off. Mostly I recall terror with the occasional rainbow. The first four were women, a mix of the starched and the serene, the philosophical and the psychopathic. The last, at primary school, was a man, Mr Hole a scholastic mole of a man with large shoes, hairy knuckles and the kindest smile. In part one, I’ll consider the first two. The starched came first with Mrs Pritchard. She was deputy head, taught me in what is now year 2 and had a Mrs Doubtfire quality about her elbows. Her ubiquitous cardigan, worn whatever the weather, would be pulled close if she became annoyed. You could judge the imminence of some egregious punishment by the size of the overlap as she folded her arms and lifted her bosoms, as if preparing them to be a ritual sacrifice to the gods, or maybe release them into the wild to create havoc amongst we natives. I do credit her with making me listen. At some point she singled me out, after we had listened to a story on the radio – a real treat circa 1963/4 – to explain the plot. I failed and was sanctioned – the stand-in-the-corner humiliation which was far worse, for me, than physical chastisement. After that I listened, so much so that my little hand went up after every story and she had to tell me not to bother – there were others to render into stone first. Maybe, indeed surely my love of stories stems from then. Do I remember any of the stories? No, but I can describe precisely the corner I stood in, the flaking blue paint on the skirting board, the rhombodic black stain by my right sandal, the smell of dust and cleaning fluid and puppy’s ears. I’ve never liked corners. The Philosophical came next in the same of Mrs Taylor, a woman for whom the redundant inkwells on our desks were a source of fascination. By 1964 we had fountain pens, rather than the quills that they were designed for but that didn’t stop her discussing them, referencing them and, indeed, one day using them as make shift vases. She would stop and stare out of the windows – designed so we could only see the sky, I suppose, to stop us day dreaming and achieving precisely the opposite effect with Mrs Taylor. She was a compulsive smoother: her skirt, the surface of her desk, our exercise books when she opened to read our work and our hair if we did something that pleased her. I wanted to please Mrs Taylor; she could do disappointment like no other, not, that is, until I got a dog. Mrs Taylor was the first person to award me a proper prize. In my primary school you could acquire a merit badge for a week, handed out at the final assembly on Friday afternoon if you achieved three merits in that week; by the same token, three demerits and you got to visit the heads office – Mr Akers, now that was a scary prospect. These badges were first awarded in Mrs Taylor’s year, the year three and were beyond precious, a combination of a Faberge egg, saffron strands and moon dust. When she announced, several weeks into term that someone had won the first merit badge, we all looked around, wondering who it was. Even then I think we all knew it had to be a girl. But then she came to my desk and smoothed my hair. Me? Me! Surely some mistake. I don’t think I ever felt as good again. It’s not that other events (my wedding, my children’s births) weren’t stunning moments that are seared into my memory; it was the sheer unexpected surprise. The fact that I never got another and all the evidence is I peaked too soon is by the by. For that Friday afternoon I flew. Gravity was for mortals and I was a god. This entry was posted in home, humour, memoires, miscellany, School and tagged Maple Road Primary, Memoir, School, teachers. Bookmark the permalink. Oh i think you’ll feature in many early memories as you do in a few older ones! What wonderful memories, Geoff. And what a wonderful memory you have. I can only remember Miss Gentle from Primary 1 who carried her name very well. The others are now a blur of wrinkled, growling old maids. All girls school, of course. Sad, sad, sad memories. I don’t remember my Infant School teachers, other than the Headmistress, but I do remember those in Junior School, all but one of whom damaged my self-esteem in some way – looking back on it, i’m sure deliberately. I don’t mean just me, I probably fared better than most being bright, though maybe making sure I didn’t get too big for my boots was part of it. I can’t imagine some of them being allowed anywhere near a classroom now. 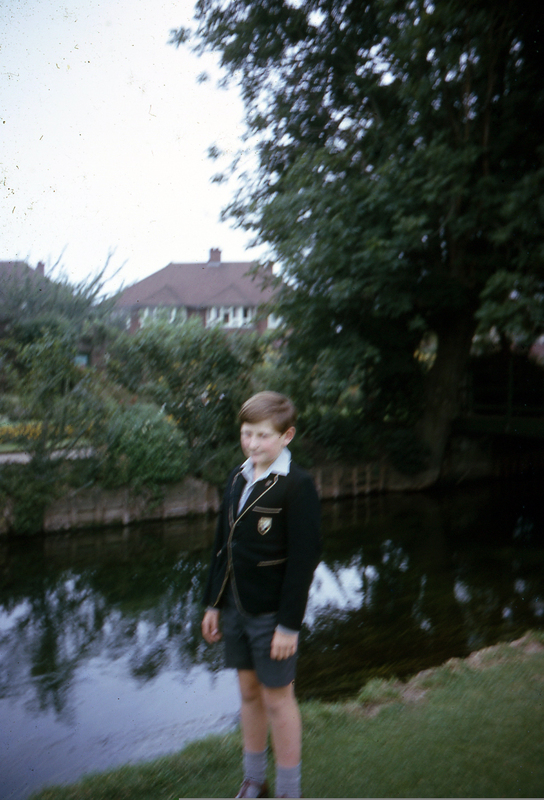 I remember my first teacher, each schoool is etched vividly on my brain; other people seem to remember a lot less, or my life long friend who went to the same junior school recalls things very differently… Unless one has been filmed for a TV documentary ( don’t you just love ‘Seven Up’ ) it is hard to know who has the accurate memory! My Mr Pritchard was headmaster in my junior school, and Mrs Taylor taught French, Maths and English as well as being my second year form teacher at Grammar. We had a variety of Mrs Halls, one reverting to her maiden name (everybody groaned as she was such a witch) and another adding her maiden name with a hyphen so that we all knew who we had teaching us. I was in my third year at Grammar before we had the luxury (and scaredy cat ) of a male teacher who taught science. He was a nervous wreck after the first term, but you can’t blame him being faced with almost 1000 girls with hormonal imbalances! Short skirts and stockings raised more than blood pressure! Some awesome memories there – I remember my Year 6 teacher in particular… Mr Evans, a scary Welshman who smoked in the playground at break times, didn’t take any nonsense and who taught me my times tables so brilliantly using different games that I used them myself during my supply teaching maths lessons with my own students… Looking forward to part 2! Those memories are priceless. Some mean so much to us and will never leave. Perhaps some stay so close because they were milestones in our young lives. Great tale Geoff and it was good when one received recognition in primary school for in my school it was a rare event. About a year ago I wrote an article for a over 60s site about my primary schooling at the hands of the “Mercy Nuns” ( yes there’s irony in that). I received over 95% of replies and comments from people who had similar horrific experiences to me. So its good to read your story which is more uplifting than any I could write. The comments here suggest how lucky i was. Who knew? The description of your award is priceless. What a wonderful feeling. I don’t think you peaked too soon. I think you’ve further heights to reach. We never forget them – good and bad. So pleased you learned to spell after you wrote your title.